Restoring cars is something I have been into my whole life and have now finished renovating my workshop to take on a small number of (high end) restorations. I have restored pretty much every make of car. I believe this is an important key element when selecting someone to restore your car. I often see cars that have been restored with incorrect parts, quick paint jobs, misaligned trim, etc. (the list could go on), all of which I think are mainly due to lack of knowledge and experience working on these sometimes very specific and rare cars. There are no “quickies” with my restorations – this work takes time to be done right. My specialty is restoring rare, exotic cars but some “normal” cars are in the mix too – I even did a 1971 Harley FLH recently! My clients have full privacy and very personal guidance as to how to approach the work and what to expect in the end. I work with the best in the trade so cars I handle will only be top quality (up to now three Pebble Beach contenders). 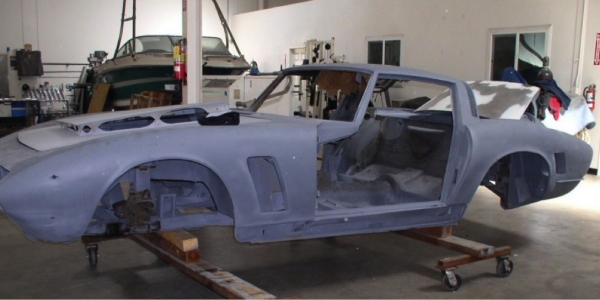 If you are interested in finding out what that means, continue reading about my restoration history and contact me and we’ll see if we can work together on getting your car restored the right way. My “motorized” career started in motocross; the hard, mostly dried clay motocross tracks in Europe were very hard on the bikes. So after a season was over, I took them apart and restored them to “new” condition – both frame and engines. In The Netherlands, we were only allowed to drive a car at 18, but that did not hold me back from being involved with them. 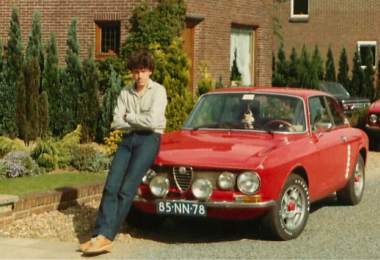 At 17 I purchased my first car, a 1974 Alfa Romeo Bertone of 3 years old. 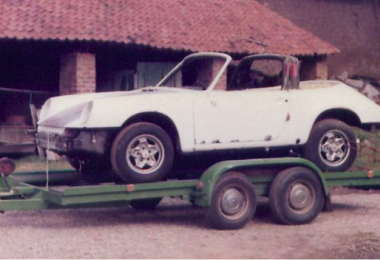 Someone who knows these cars well, knows they are very rust prone – especially in a wet climate like The Netherlands. So, I repaired the rusty floors and rear fender wells and found I had the feel for it. One year later I bought a 1978 Porsche 911 SC with a blown engine and destroyed paint, it took me close to a year to restore that back to new. The next “project” was a 1957 Thunderbird, delivered new to Amsterdam so obviously very rusty and a big project. Right after that was a 911 RSR and several Porsche 356 as they were plenty being 5 minutes away from Germany. 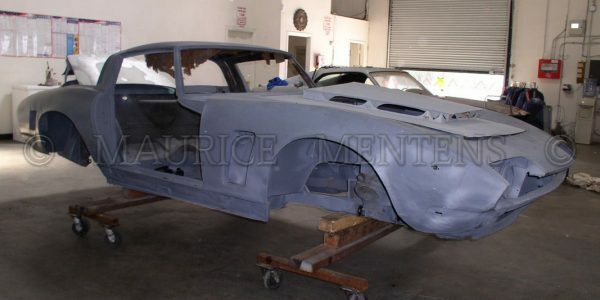 I learned a lot from restoring those cars – most of all that it was A LOT of work to repair the sheet metal damage. So, I heard the Southern California does not have those problems. So early 1980-ies I flew over to Los Angeles; bought my first two cars there and shipped them back to my shop. They were a 1958 Oldsmobile and a 1960 Thunderbird Convertible. The Oldsmobile got sold as is, the T-bird got restored and sold to Sweden. On my next trip, I bought 8 cars, mostly American Muscle and British and Italian sports cars. Now my shop got full and the restoration business took off. Then I decided to expand into renting out wedding cars and found none fitting for this purpose in my country. 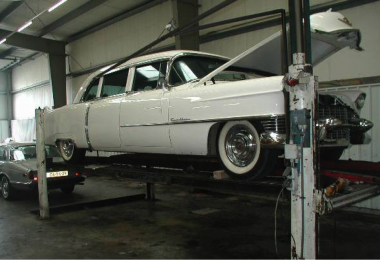 This is when more complicated marques like Rolls Royce, Packard and Cadillac were restored, so at the end of the 1990’s pretty much every Make and Model possible went through the hands of me and my employees. Of course, this is when my interest for more exclusive makes came up and I started to dabble with Iso’s and Monteverdi’s. (Which has never stopped). When the fire struck on 9-11-2001 (!) I decided to not rebuild and move to California where I started my Appraisal business. It was an immediate success because of my elaborate technical background and the fact that my clients were looking for the same things I was looking for decades earlier. So I know how they think and what they want. 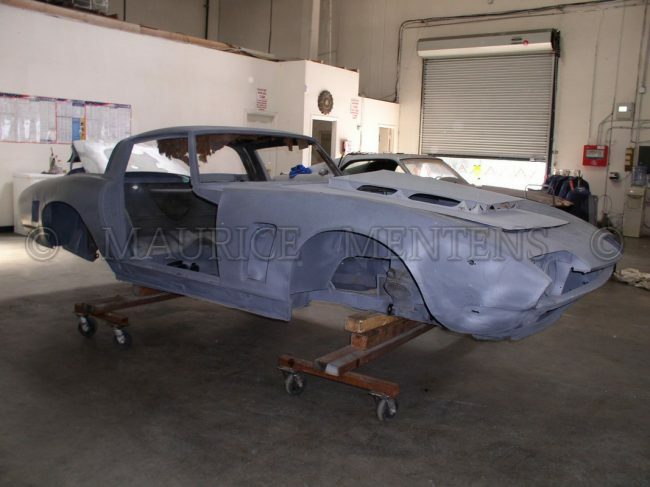 Because California real estate is not easy to come by, I only restored cars for myself until I was able to purchase a building where I had full control and could offer my restoration services to clients. I prefer now to work on rare, unique and interesting vehicles – the ones even I can still learn from.